For most people, your ride is likely one of your most expensive possessions, which can in of itself cause a problem protecting your bike from theft, but also protecting your frame from your protection. After scratching up one frame, I refuse to use bike-mounted locks. 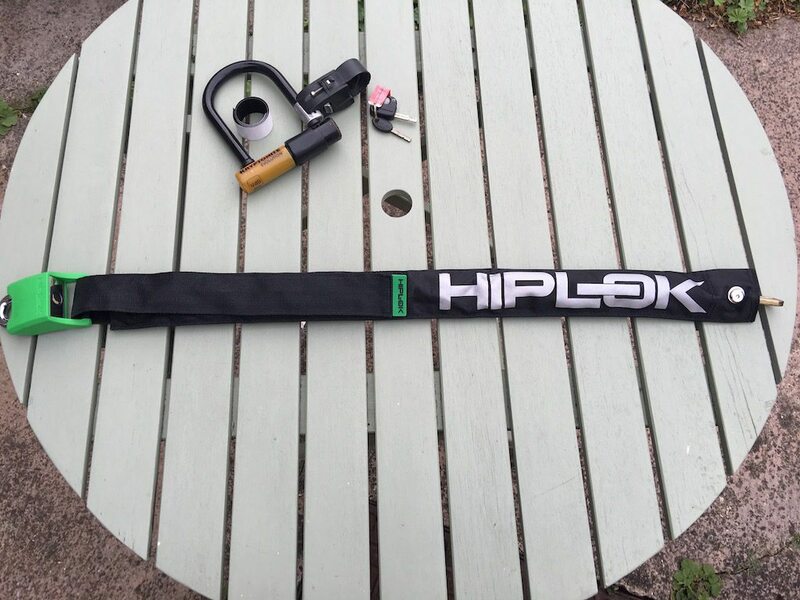 HipLoks eponymous bike lock aims to look after your bike and your paintwork! How what this managed to do was to scratch the downtube of my frame before too long. Not the end of the world, but well MY FRAME WAS SCRATCHED!!! As a result, the Kryptonite lock was relegated to a backpack. But that can be a little irritating for things like going for a quick spin into town etc, to meet friends, where I don’t really want to be carrying a back pack, but still want to leave the bike unattended. 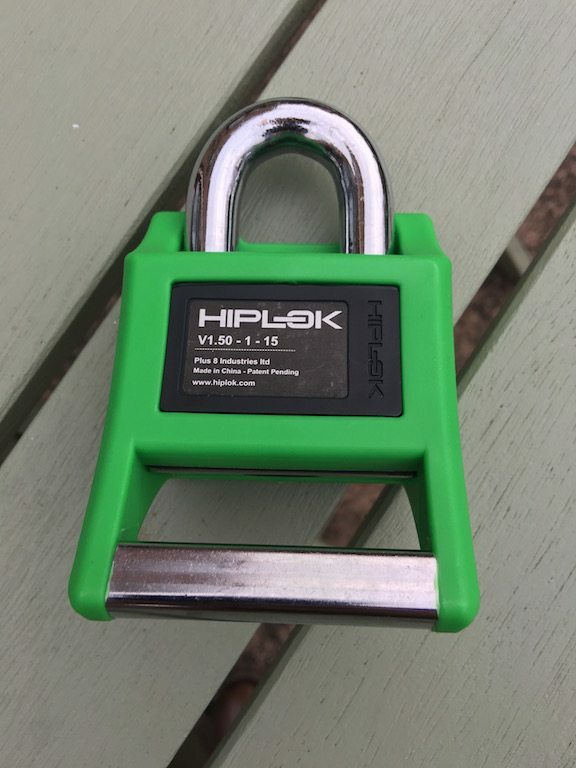 Now the HipLock FLX is great for a cafe stop, to work as a deterrent where you’re likely still able to see the bike, however, it’s not going to stand up to a good pair of wire cutters. Hence I’ve had the opportunity to test out the HipLok Original. 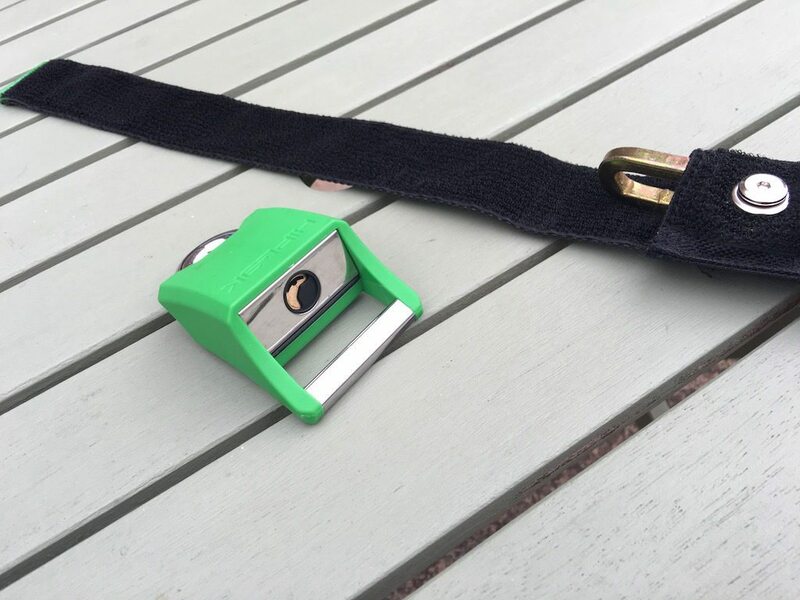 A Sold Secure Silver bike lock which rather than being thrown in your bag, you wear around your waist. More importantly, though, I’m not as worried about thing inside my bag getting broken by a large chunk of metal moving around inside. 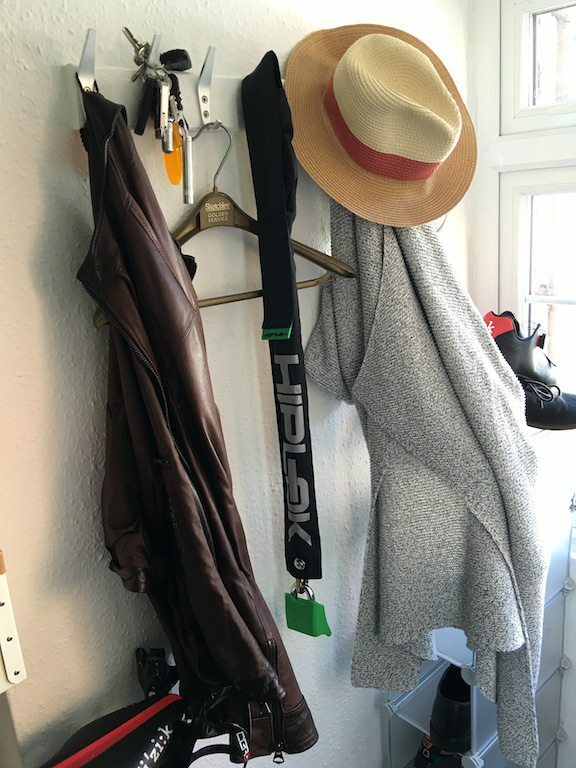 Another great use case I’ve found is sticking the bike on the train, and then hoping on the bike to shoot a few streets over for a meeting, it’s just a case of stick the HipLok Original around your waist and basically, forget about it until you arrive at your destination to secure your bike. Not only does this make deploying the lock much easier. 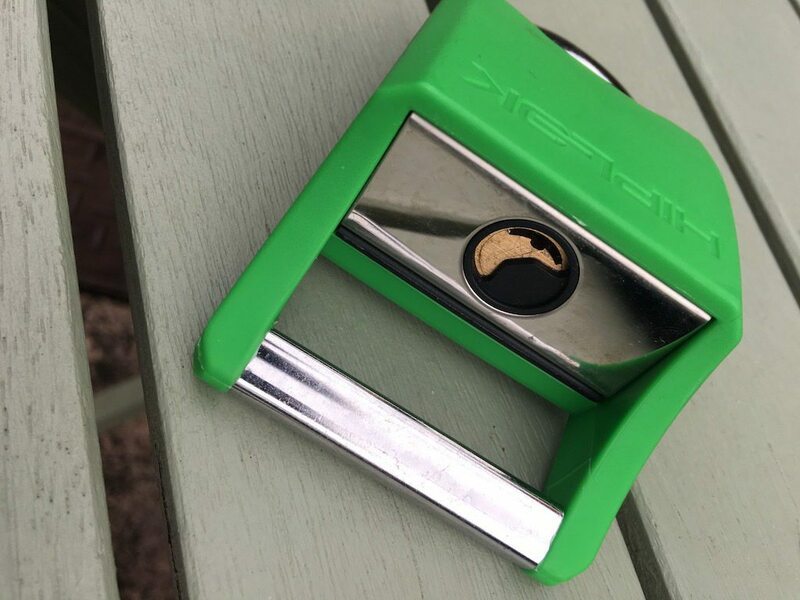 Particularly compared to faffing around looking for a lock in a bag, which may or not damage other things which you are carrying inside, but also provides a safety point. 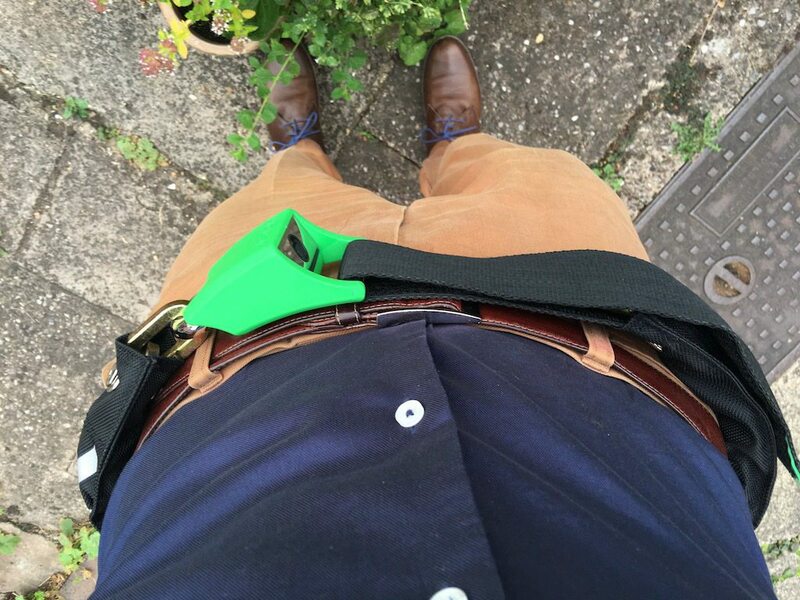 If you have a crash, you don’t want to be wheeled into A&E when a hardened steel chain locked around your waist! This is the main change between the version 1, and this version 1.5. Your get three keys with the HipLok Original. However, it’s a shame that their registration service only covers keys for the Hiplok models, GOLD, DX, DXC, D, and DC. 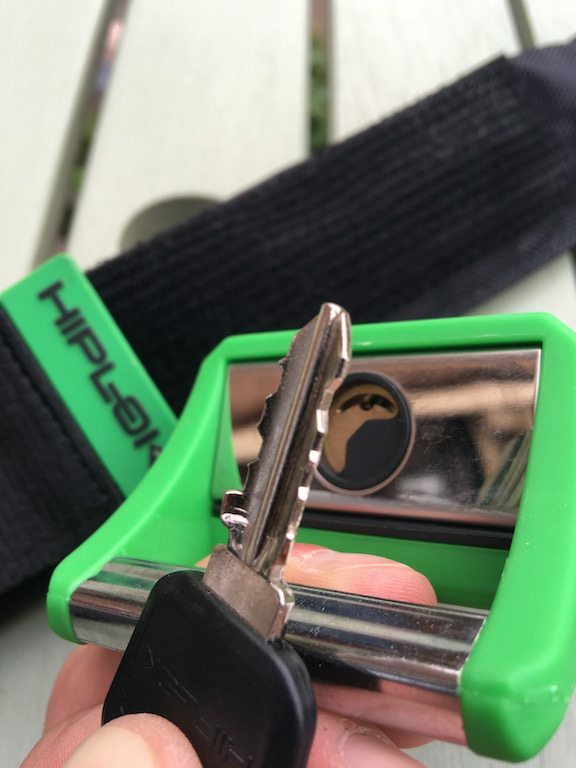 So that might be something to consider in your purchase, especially if you are looking for the maximum security, AND you are forgetful, as the HipLok Gold, is also a waist mounted, is Gold rated for security, and DOES offer a key replacement. 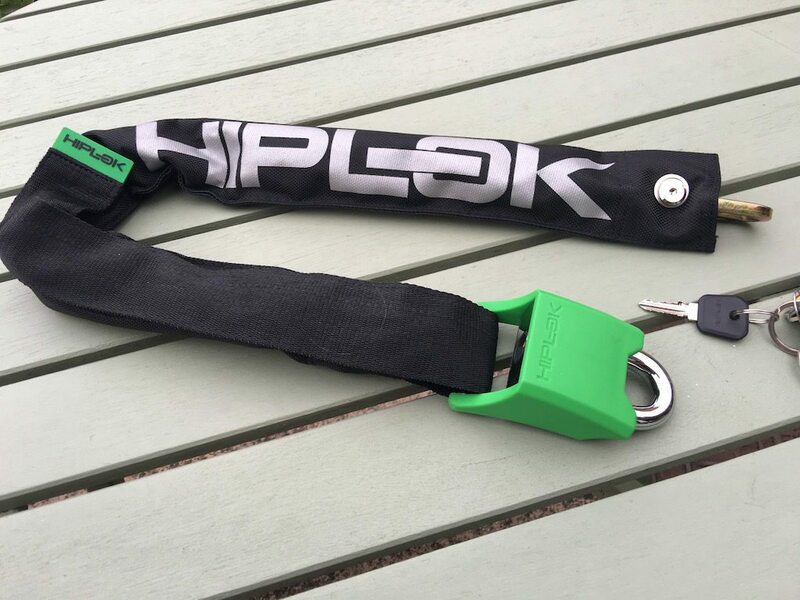 Personally, I’m happy with the silver security, as I’m mainly leaving the bike in public places, but I would have liked the key extension program on the HipLok Original too! 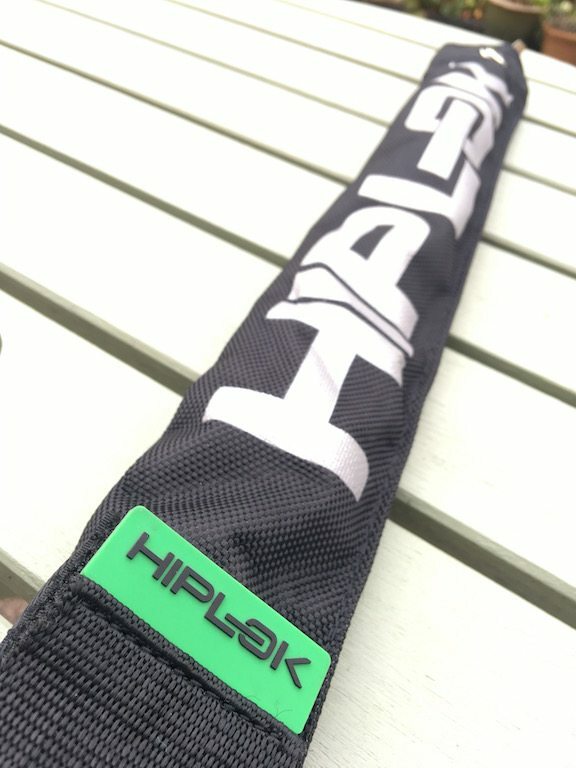 The HipLok Original is a great piece of design. Which is essentially what makes a great product. 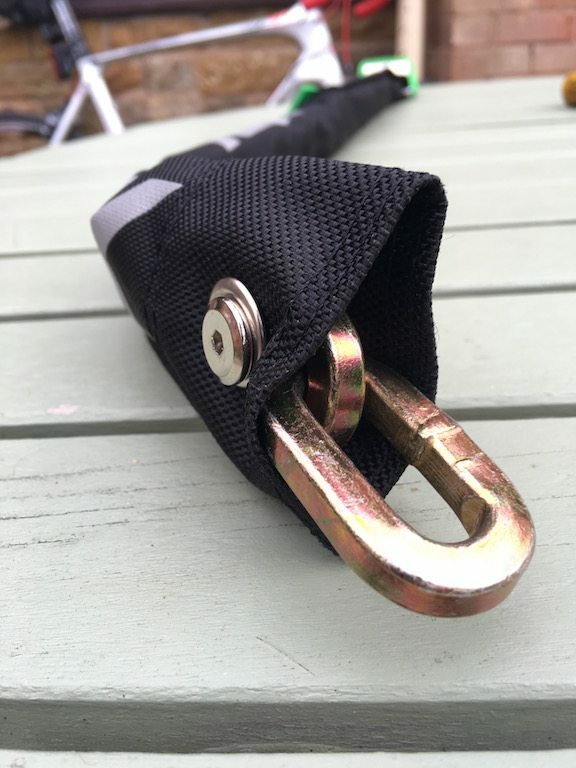 It improves the safety of your bike when it’s locked up, and in my case improves the safety of my frame, and hopefully means I won’t smash kit inside my bag. Having a 90cm circumference, there are not many things you are not going to be able to lock around, and you’ll likely also be able to lock in a wheel too. 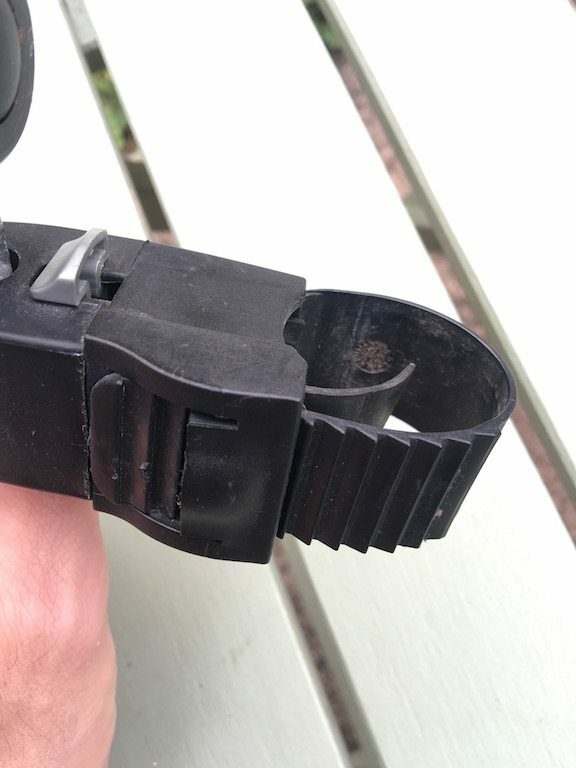 The only thing I would have liked to have seen is a key replacement program, and perhaps a glow in the dark Cordura sheath, because, well why not? They already have highly reflective 3M tape, may as well go all out! 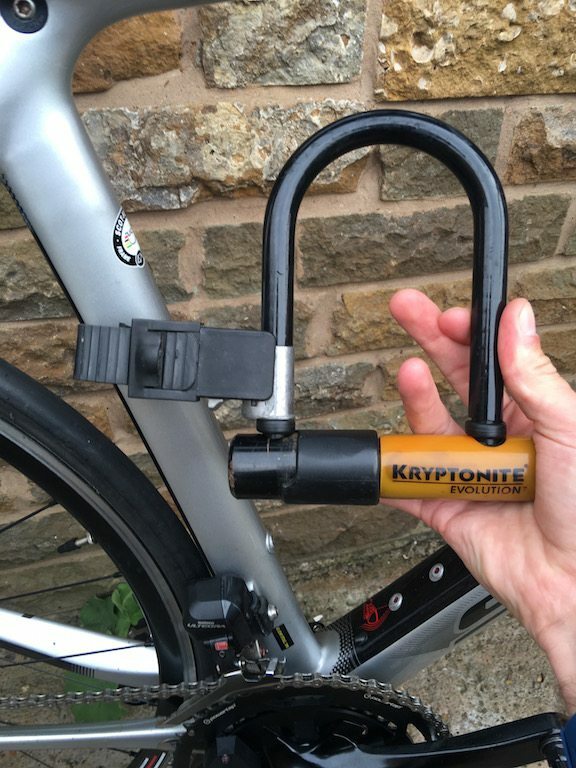 So to put this review in another way – Kryptonite lock for sale!